Think a cleaning and sealing project is going to take you all weekend? It can—or you can take heed of the following advice and get it taken care of in time to enjoy a sweet tea on your fresh deck as the sun sets. It just takes a few tools, the right know-how and a little elbow grease. Start by simply sweeping the deck and keeping an eye out for anything stuck in the cracks. Debris, twigs, leaves and even your kids’ toys can all ruin a sealing. Left to rot in cracks, dead leaves can even lead to permanent damage, rotting the boards from underneath you. If you are really committed, take a putty knife to the crevices. 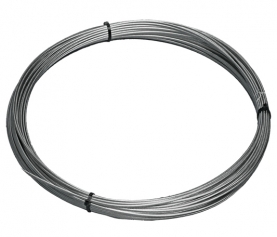 Even with bi-annual sealing, this extra effort is worth it and can dramatically extend the life of your deck. Sweeping is just brushing the surface. A proper sealing requires a good scrubbing. You can choose from a variety of products, whether you have green leanings and want an eco-friendly solution or a stronger product for minimal effort. You can even concoct your own solution with half bleach, half water and a brush. This is a strong solution, so only use it in small areas where you might battle algae or mildew. Never use bleach undiluted as it can be harmful to some woods. To scrub the entire deck, it’s best to use a pressure washer—these can be rented for a moderate price. Simply spray the bleach/water combo onto the boards, let it soak for a few minutes and then pressure wash it off. However, be mindful of nearby plants and shrubs. Cover them with impenetrable plastic before applying bleach solutions. Wait for the deck to dry completely before applying a stain or sealer. If you want to stain for the first time or enrich an older stain, choose a reputable brand with a hue that complements your home. A redwood color is always popular, but the trend of reclaimed wood (or wood that looks reclaimed at least) means more and more people are choosing a clear sealer. 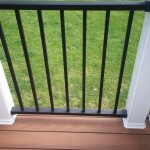 No matter which option you choose, this is the best way to extend the life of your deck while repelling water. If you want to make the seal last longer, invest in a pad featuring a mini reservoir. Brush it on with a foam roller, and make sure the entire deck has equal distribution. While sealants and stains are tough against any type of weather, it’s still a good idea to re-apply twice a year. 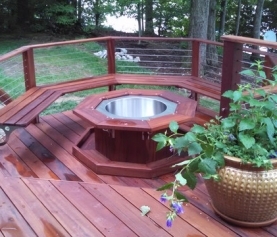 That will give you optimal results and a deck that’s ready to entertain guests. Can’t remember the last time you sealed your deck? Don’t worry—many woods can be revived. 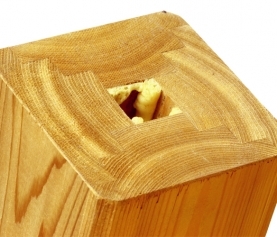 However, you may have to add some sanding into your regimen. Renting or buying a sander will save you a lot of hard work and can speed up the process tremendously. 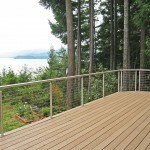 Why Use Aluminum for Deck Railing?